Since the ECSC Treaties (later taken up under various treaties and in particular the Act of 20 September 1976 on Direct Elections to the European Parliament), the European Parliament had been given the task of drawing up draft “A uniform [electoral] procedure in all the Member States”. To date, such a procedure has been purely and simply forgotten. 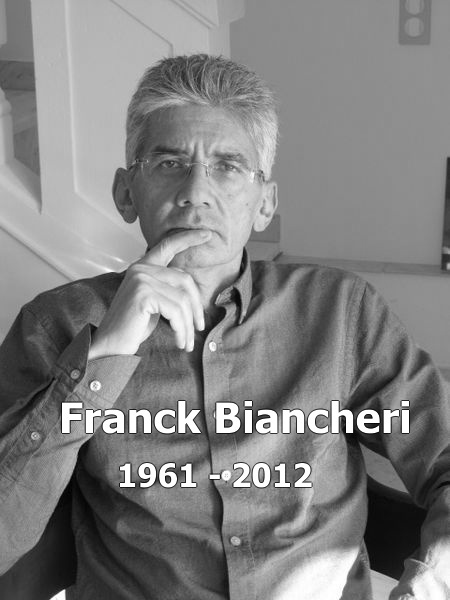 At the beginning of 2010 the trans-European movement Newropeans* under the presidency of Franck Biancheri presented a proposal for a Unique (or Common) European Electoral Law **. This proposal was elaborated following the disappointing results of the 2009 European elections – in particular the low participation rate (since 1999 this rate is below 50% and decreasing regularly – 42.61% in 2014) – which demonstrated that the system of European elections is absolutely not adapted to the evolution of the democratic and political stakes of the Community, since it leaves out more than half of the electoral population and prevent any kind of emergence of any trans-European demos. We invite you to rediscover the Newropeans’ proposal for a single European Electoral Law. A national / regional part based on national or regional constituencies depending on the will of member states, where half of MEPs will be elected on national or regional basis. Newropeans is in favor of open lists of candidates. Political parties / organisations propose lists of candidates and decide on the order on the list. Voters can then influence the order of the list and have both the possibility to vote for the list or individual candidates of the list: Candidates having the most votes are the first of the list to be elected. Individual candidates independent of any party / organisation or association are authorised. Following Newropeans’ proposal on the age of vote (Newropeans’ programme art. II.4.) p17), every citizen of the EU can vote from the age of 16 years old to the European elections, in particular to ensure a better representativity of citizens in our growing old countries. Any European citizen who lives or has lived and is registered on due time (upon national rules) on electoral lists of one member state can vote in this country. Vote is not compulsory for European elections. Possibilities to vote must be as large as possible and ensured by member states upon their own national rules and uses. Internet vote should be forbidden considering the real danger to guarantee a strict and fair control of votes and the impossibility to keep track of votes ballots and prevent massive frauds. No condition of residence should apply to vote in any European country. Any European citizen who is registered on due time (upon national rules) on electoral lists of one member state can vote in this country. Any candidate over 18 years old can be a candidate in any of the European country if he is registered on due time on electoral lists of this country. Candidates are not allowed to stand on more than one list, may it be a national / regional or trans- european list. European election day: Elections of the European parliament should take place the same day with the obligation to not issue results from the elections before each country has closed the elections. Other elections on the same day: No other vote, except transeuropean referendums, should be allowed the same day nor before or after 1 month of the day of European elections, this to guarantee that European elections importance is not hidden by any other non european election purpose. Advance voting: Advance voting is authorised by mail only. Mails must be open the and counted the day of election by relevant committees. A set number of citizens signatures should be collected to authorise any organisation, party, independent candidate to run for EU elections. Based on a symbolic and fair number of signatures. Newropeans’ proposes that this threshold be proportional to the number of seats granted by country and constituency following the German case where 4000 signatures are requested countrywide. Following the German case the total amount of signatures requested by lists of candidates within a country should not exceed 0,0063% of the number of inhabitants of the countries. One citizen is allowed to give his / her signature to several parties. A Transeuropean list is requested to collect citizens signatures in as many countries where candidates are registered as candidates. No requested number of candidates per lists. Registration of candidates is made at last 1 month before the elections, to ensure to European citizens a sufficient and fair time to evaluate every list of candidates. Any party, organisation or independant candidate is authorised to present a candidate or list of candidate. Sole conditions are those forecast previously for every candidate. No deposit is requested to European elections. Threshold or not: No threshold. Threshold is neither proportional nor democratic! Counting method used: The D’Hondt method is used to count votes. No other political representation is allowed for a MEPs. Equal treatment of all parties in order that all parties have an equal access to medias must be the rule, considering that they filled the prerequisites to be officially qualified… (collecting the requested number of citizens signatures…). Private broadcasts have to be forbidden / or strictly limited (set and reasonable financial ceiling). Equal treatment must be granted too for the time being allocated to every candidate when invited in media broadcasts! Opinion polls (making and displaying) are forbidden from 1 week before the elections. If one considers an ‘official campaign period’ is necessary in particular to rule conditions of broadcasting for parties on public medias / and equal treatments of parties over a relevant and reasonable period of time to campaign, this period starts the day of last day enabled to register lists of candidates, therefore 1 month before the day of the elections. One EU budget should be allocated to found real trans-european parties, in particular emerging parties and / or trans-european parties! This budget granted for the operational work of any European party, it is allocated every year from the moment when a so called European party complies with the terms of a European party, see below. This budget must be accessible on equal basis for every trans-european party and must foster new trans-european emerging forces. The qualification of trans-european party must be revised in order to ensure a fair financial access to those trans-european parties having not elected candidates yet. 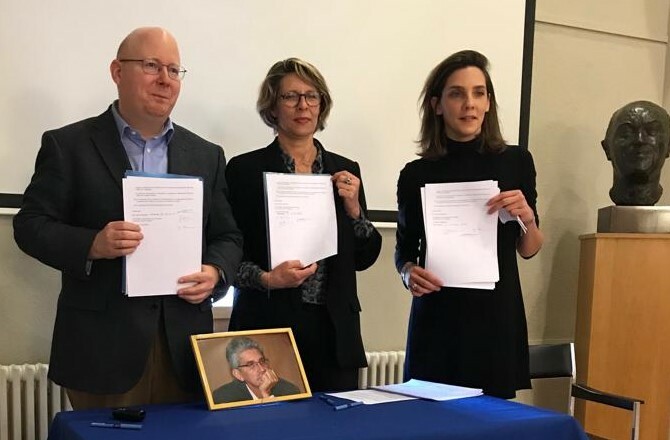 In particular the legal qualification of European party must include those parties or coalition of parties having presented candidates already in at least 3 countries under the same name and with the same programme. While 80% of subsidies are allocated to those European parties having already elected candidates, 20% of subsidies are dedicated to emerging European parties only. A set amount of money is granted per vote obtained. Ceiling by vote should be the norm. A set maximum amount of money per total votes within the country can be received by political parties to finance EU elections. These total amount of votes can be regional or national upon constituencies in where lists of candidates present. Conditions of vote and promotion next to citizens must be exclusively financed by national states (ballots and promotional flyers sent with ballots)! This to ensure a fair and democratic access of all citizens to European elections. A European budget is forecast to refund states for ensuring a basic access to all lists of candidates to EU elections. This refunding is based on the rate of participation at EU elections, this to ensure that everything is made by member states to ensure a maximal participation to these crucial elections for a strong democracy in the EU. A set refunding should be forecast for any political party having presented candidates and campaigned. Especially those having not one candidate elected (like in Portugal). No threshold but a set amount of money per vote obtained should be the rule considering that parties being refunded have been qualified to run for elections (signatures request). These refunding will be ensured by member states for regional and national lists of candidates and the European union for European parties (see above conditions to be declared a European party). The validation of votes is validated by national institutions as every list runs first in national or regional constituencies. The European Union approves results of trans-european lists.